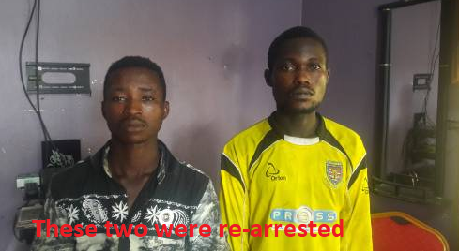 At least 40 suspects held in police custody for armed robbery and cultism escaped from a Special Anti-Robbery Squad (SARS) cell in Yenagoa, Bayelsa State on Tuesday. A police officer attached to the SARS in Bayelsa State told SaharaReporters that the precise number of inmates who escaped has yet to be determined. “The cell holds more than 50 suspects but it is empty, so it is difficult to give an accurate number until they check the records. But we hear that 42 criminals were being detained,” he said. The Bayelsa State Commissioner of Police, Asuquo Amba, was sighted at the SARS office along Road Safety Road in Yenagoa with senior police officers inspecting the detention facility. The area was cordoned off by armed police officers and was closed to reporters. Asinin Buswat, a Deputy Superintendent of Police and spokesman for Bayelsa State Police Command, said the incident was still being investigated and he therefore did not know the full details of the matter. He promised to provide further details as soon as they were made available. It was gathered that the suspects broke through the back section of the cell and scaled the wall to escape the detention facility. A police source said that two of the escaped suspects have been re-arrested while police are still searching for the remaining escapees. Police have called on members of the public to exercise caution. It was also gathered that security personnel at the Yenagoa Local Government Area office behind the cell alerted the SARS officers of the escape. When the officers checked on the detention facility, all the inmates had already escaped. » "See Photo Of Python Killed By Fulani Herdsmen In Yenagoa"